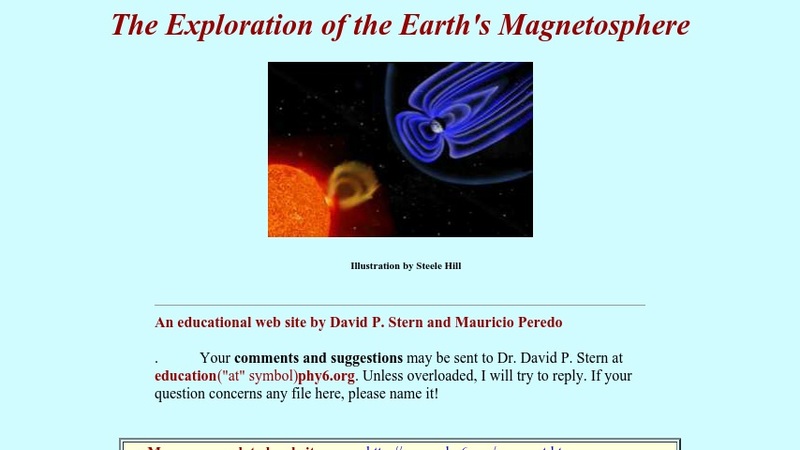 This is the home page for a set of articles on the Earth's magnetosphere and other phenomena related to charged particles and magnetic fields. This page features an index consisting of summary files on such topics as magnetism, electrons, ions, plasmas, radiation belts, the sun and solar wind, the magnetosphere, and auroras. Following the summaries are links to detailed articles on each topic. Each article features text, photographs, scientific illustrations (some animated), maps, and diagrams. The site is also available in Spanish and French.